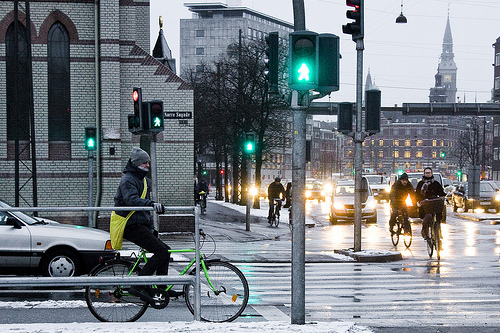 Some cyclists will be able to rest even more comfortably at lights now, thanks to low-tech additions by the City of Copenhagen. These rails are simple solutions for making stopping at red lights more smooth, and act as an effective way to make bicyclists seen at busy intersections. The bottom portion of the rail reads “Hi Cyclist! 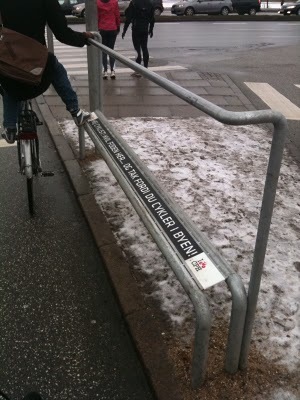 Rest your foot here… and thanks for cycling in the city.” a nice reminder to encourage cycling for everyone. 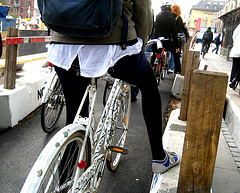 Kudos to Copenhagen on offering uniquely simple and detailed bicycle facility for its residents.